Food and Wine Solutions from BioSystems S.A. Starting April 1, 2018 our portfolio with leading analytical solutions has been extended with food and wine specific analytical solutions from BioSystems S.A. The full range of FoodQuality and Enology reagents and instruments is now available at Metrohm Australia and at Metrohm New Zealand. We provide full support and service with manufacturer trained engineers and technicians to the region. BioSystems’ analytical solutions comprise photometric analysers (automatic or semi-automatic), colorimetric (enzymatic and chemical) reagent kits, ELISA kits and rapid tests. 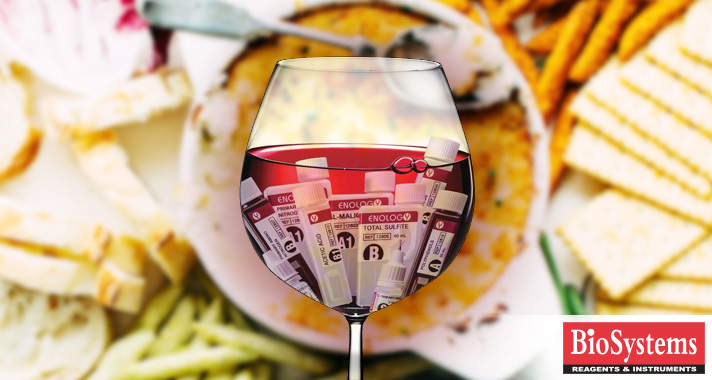 BioSystems’ Enology line was specifically developed for wine laboratories, offering instruments and reagents designed and validated for the wine industry. The FoodQuality line provides excellent analytical and control solutions for various sectors within the agri-food diagnostic industry, such as: juices and other beverages, meat and processed foods, fish and seafood, milk and dairy products, cereals/nuts and derivatives, etc. To learn more about these fascinating solutions visit the link below or contact our friendly specialists.